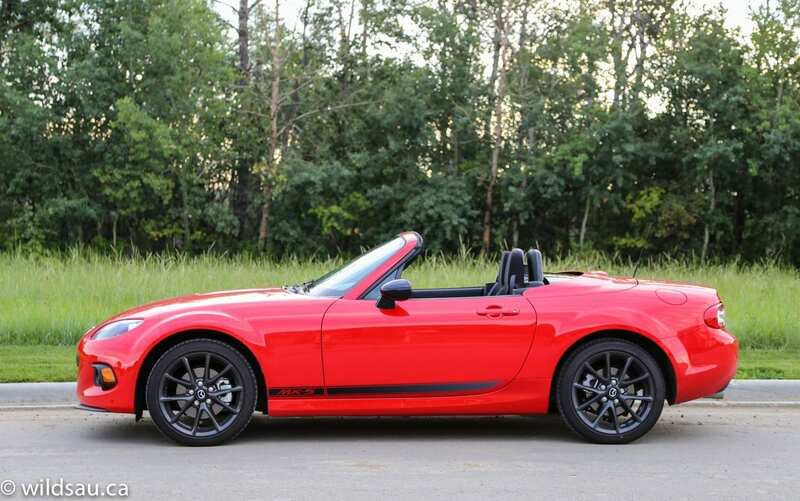 Long considered a dichotomous love-child of pure sports cars and girly convertibles, the MX-5 (or Miata as most of us know it) has made quite a name for itself. The best-selling sports car of all time has been able to conquer the girly car barrier by proving itself capable on the road and the track. And it’s been able to overcome the pure sports car pigeonholing by being easy to drive and comfortable. 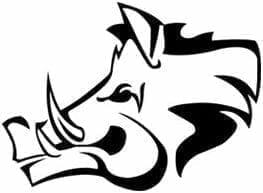 I spent a week in the latest iteration – let’s have a look to see how its aged since we first met it in 1989. Yes, 1989. 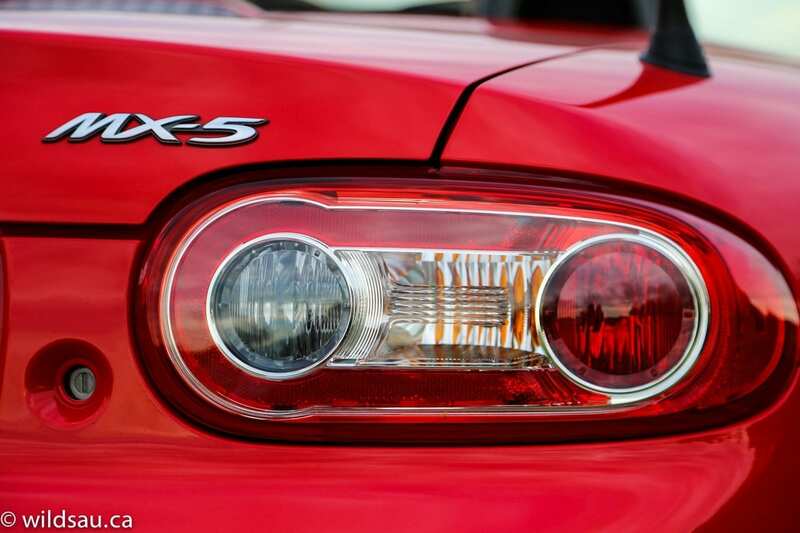 The MX-5 has never been one to raise eyebrows on paper. As a matter of fact, it tends to get chuckles from most who haven’t driven one, as it comes across as a bit of a weakling. The 2.0-litre 4-cylinder puts out 167 horsepower at 7000 RPM and a paltry 140 lb.ft of torque at 5000 RPM. You’ll work a 6-speed manual and the power makes its way to the rear wheels. Fuel economy ratings aren’t super impressive – 9.7 L/100 km (24 mpg) in the city and 7.1 L/100 km (33 mpg) on the highway. More impressive is that I averaged 10.4 L/100 km (23 mpg) driving it hard. To be honest, I’d say I spent more time bagging the piss out of the car than not. That’s really impressive mileage considering how it was being driven. The fuel tank holds 45 litres. The joy in driving starts here. 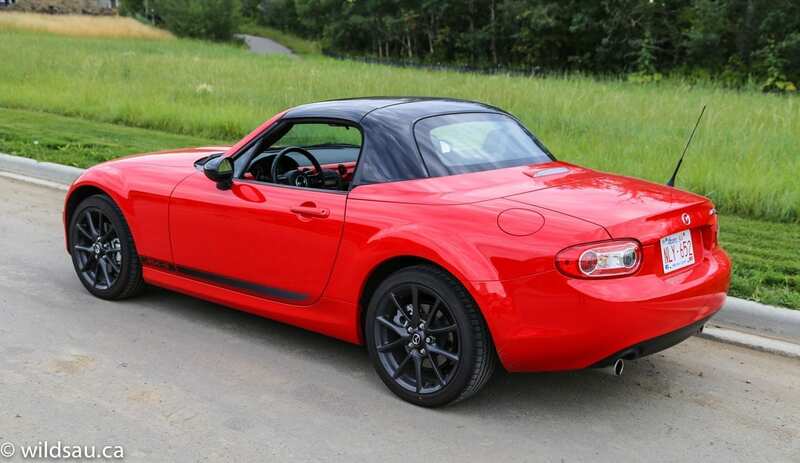 The MX-5 weighs only 2605 pounds (1182 kg). Yes, there’s more to it, but all of this car’s incredible driving dynamics revolve around its low curb weight. The clutch effort is relatively light, but presents enough resistance so you have full control. A happy combination of sportiness and being easy to drive on a daily basis, even for commuting. Snick it into first, and you’ll notice the short throw of the shifter. It’s quite notch, in a good way – the mechanical, connected feeling is perfect for me. I like knowing where the gears are without things getting grumpy. Let the clutch out and step on it. You’ll be rewarded with a throaty little rasp (enjoyable even with the top up) and surprisingly powerful forward motion. Though it’s not a very fast car, it always feels like you’re going faster than you are because you are so low. 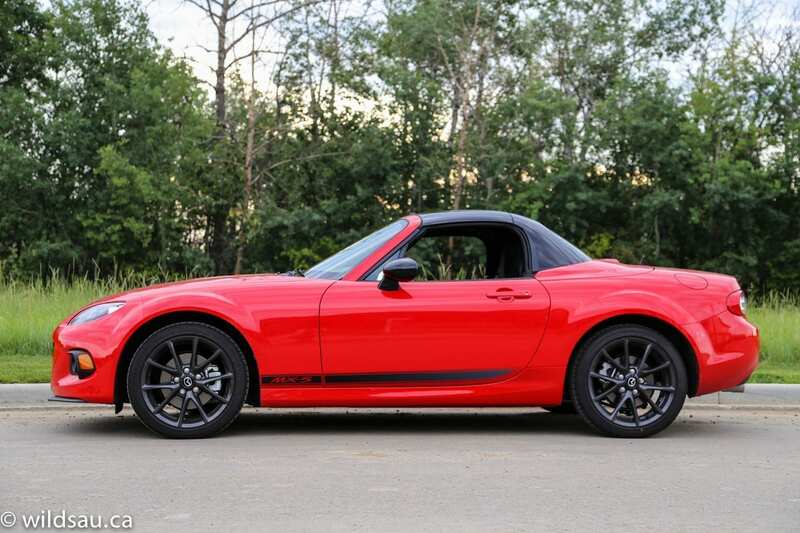 Don’t get me wrong – the MX-5 is definitely not a slow car. But straight line speed isn’t what this car is about. Sure, it does 0-60 mph in 6.1 seconds, which isn’t slow. 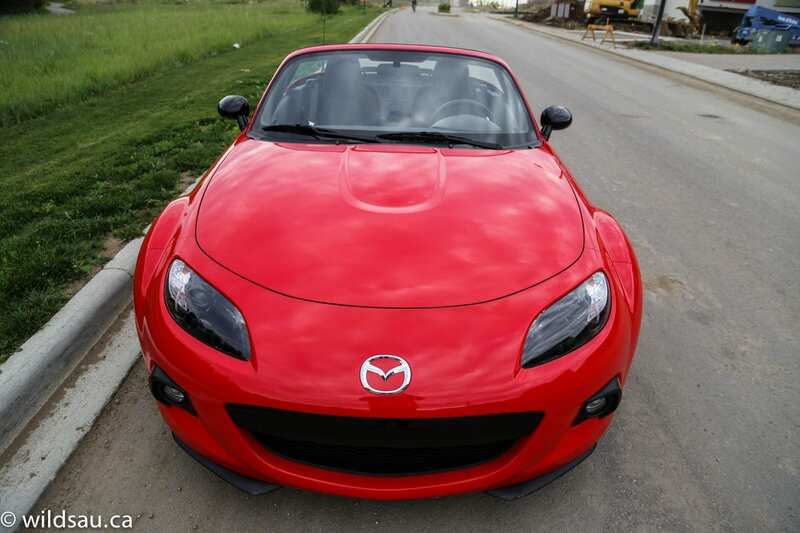 But the true mission of this car is to put a smile on your face as you sling it into corners. The handling capabilities are truly amazing. Turn-in is incredibly sharp, and the car rotates around the perfect midpoint. I never had the feeling I was approaching the vehicle’s limits, even at high speeds. And because it rotates so nicely, it never felt like it was plowing into understeer – at any speed. And yes, the steering can be helped with the tail as long as you find the right amount of throttle. 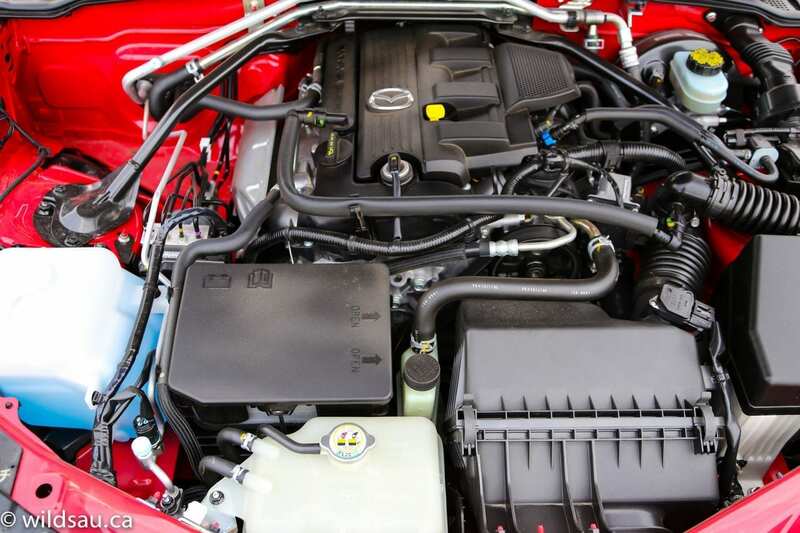 Mazda throws plenty of goodies in too – a sport suspension with Bilstein shocks, a strut tower bar and a very effective limited slip differential. The ride is quite firm but never gets uncomfortable. For such a pure sports car, it’s quite pleasant – much more so than the FR-S/BR-Z twins, which I found uncomfortable at times. The steering is superbly reactive. The happy fact that it reacts to every input and makes this a veritable track car translates to a less than happy fact when it’s on the highway. I felt it was quite nervous, requiring constant little inputs at higher speeds. 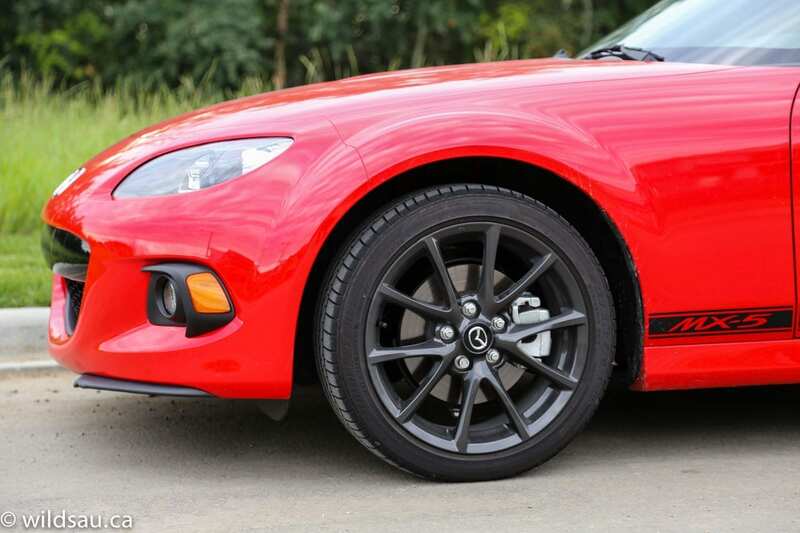 The brakes, though tiny, are effective and plenty powerful enough. With the top down, the visibility couldn’t be better. Put it up though, and shoulder checking becomes an impossibility. Speaking of the top down, I found the driving experience to be very good. There was a marked lack of turbulence. Wind in the cabin is minimal, and even the fold-down wind diffuser between the seats didn’t seem to be required – it didn’t really make a difference to me. Overall, the MX-5 is so much fun to drive that it’s tough to find fault with any one thing about the driving experience. And that’s the whole point. 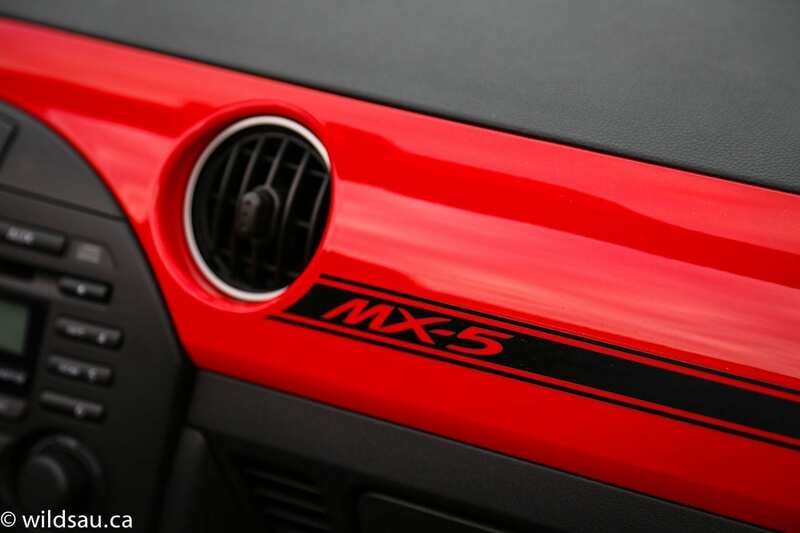 The MX-5 is instantly recognizable. The shape has evolved, but all the original styling cues remain. Interesting then, that this car garnered more attention than almost anything else I’ve reviewed. 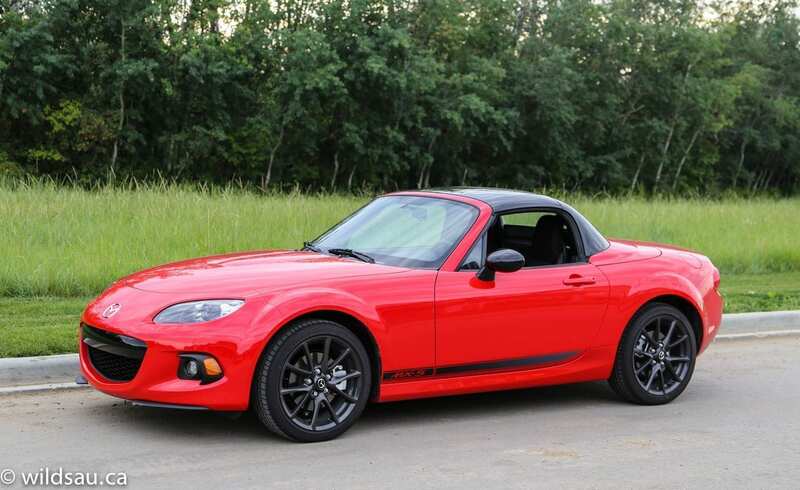 You’d think people are pretty used to seeing Miatas driving around, since they’ve been around for more than a couple of decades. I suppose the fact that my review sample came in an eye-popping True Red with relatively tastefu black exterior graphics and dark gunmetal rims. Even though it still has Mazda’s toothy grin (which they are thankfully phasing out), the front looks more aggressive than ever before. 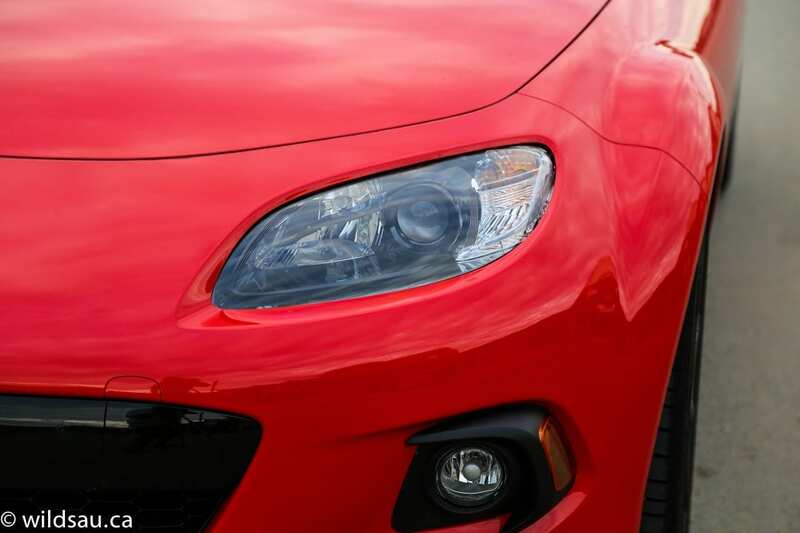 The HID headlights look like they mean business, and the integrated fog lights below look pretty cool in their black shrouding. The nicely flared fenders and power dome on hood make for a powerful appearance, and I find it to be a great looking vehicle. It’s very small and low – that’s very noticeable when you walk up to one. The top of the windshield is somewhere around the height of my belly button! I liked this model’s glossy black powered hardtop – which takes 13 seconds from pressing the button to closing fully. There’s only one manual latch to lock or unlock and it’s right in the center of the windshield header. Otherwise, there are some glossy roll-over hoops behind the seats, visible when the top is down, and this one had glossy black sideview mirrors too. The 205/45-sized rubber on 17″ rims seems surprisingly small on paper, but you don’t need more than that and they look plenty big on this tiny car. 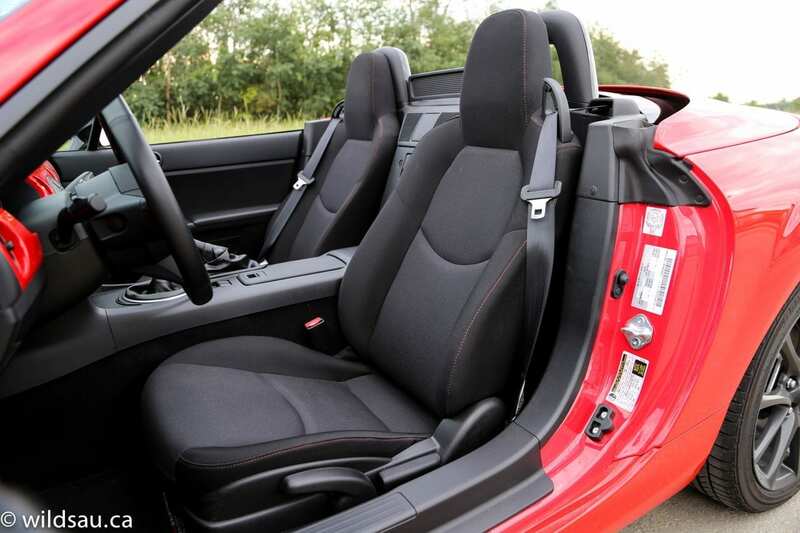 The inside is where the MX-5 falls apart a bit – for me, anyway. 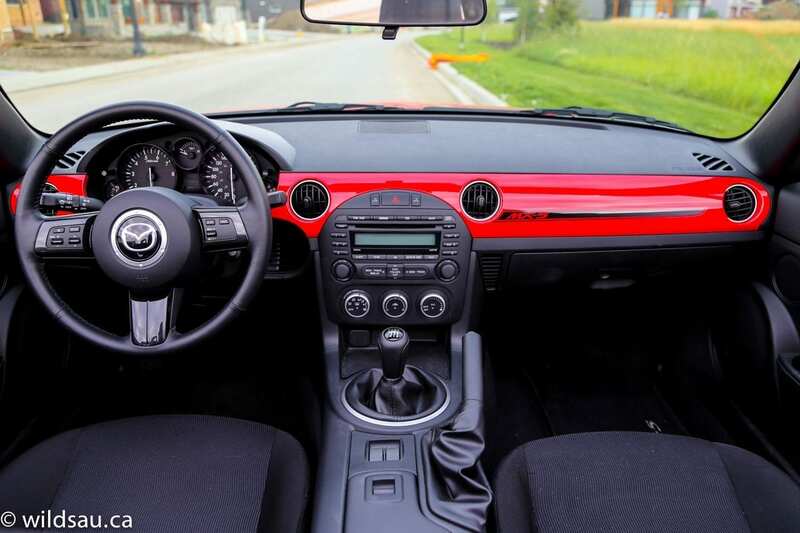 Materials are all hard plastics – mostly black, but this model has a bright red trim piece across the dash which livens things up a bit. Because it’s so low, you drop into the amazing seats. They’re manually adjustable, in black fabric with red stitching. I found them very comfortable and offering a wealth of support for any kind of driving you want to do. 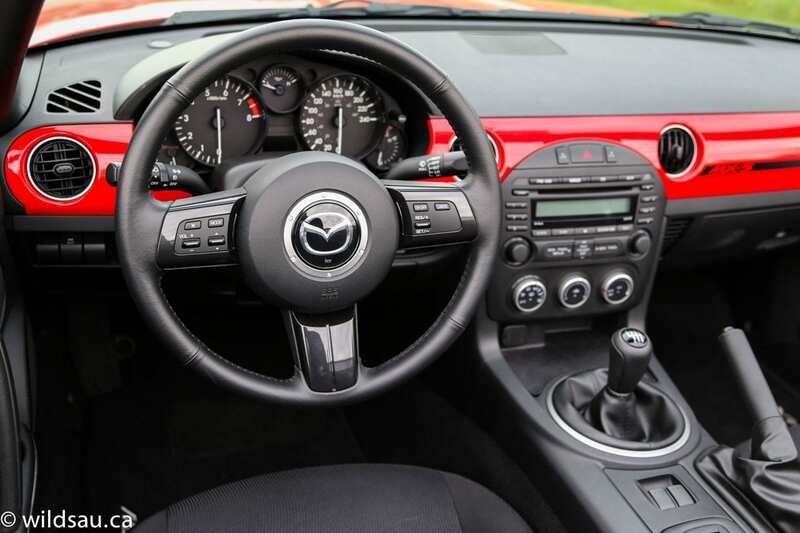 I absolutely loved the thin-rimmed steering wheel. 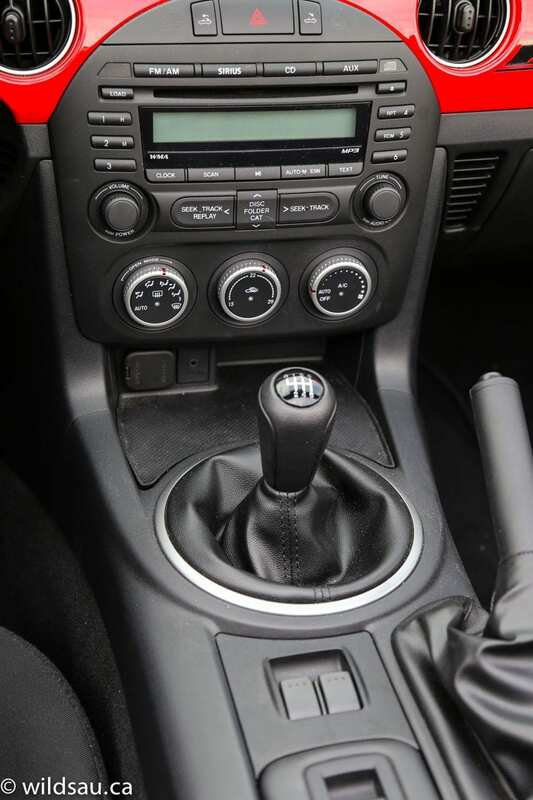 It has buttons to control the cruise and sound systems. Behind it are two main gauges and three minor gauges. There’s a tiny display with the odometer, outside temperature, 2 trip meters and your average fuel economy. I was surprised by the narrow footwell but quickly got used to it, and found the pedal placement to be ideal. The media system is basic at best. It plays from AM, FM, CD and auxiliary sources and tells you what it’s doing on a very simple LCD display bar. Below it sits a decent automatic climate control system. I liked the OPEN modes, which control the temperature in the cabin as you’d expect, but also blow different air temperatures out of the lower vents onto your legs – keeping you warm when the top is down. Smart and effective. The center console is home to a traditional parking brake and a dual cupholder with a sliding lid that becomes a small padded armrest. It shouldn’t come as a surprise that options in this department are very limited. 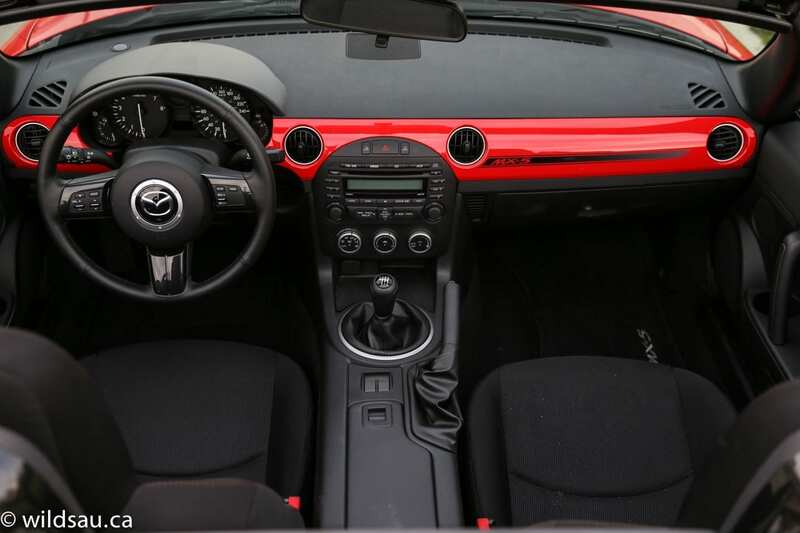 Mazda does put in a reasonable glove compartment, little mesh pockets on the doors and at the front of the console, a small rubberized pad to drop your phone onto. You’ll find the auxiliary and 12v plugs there as well. 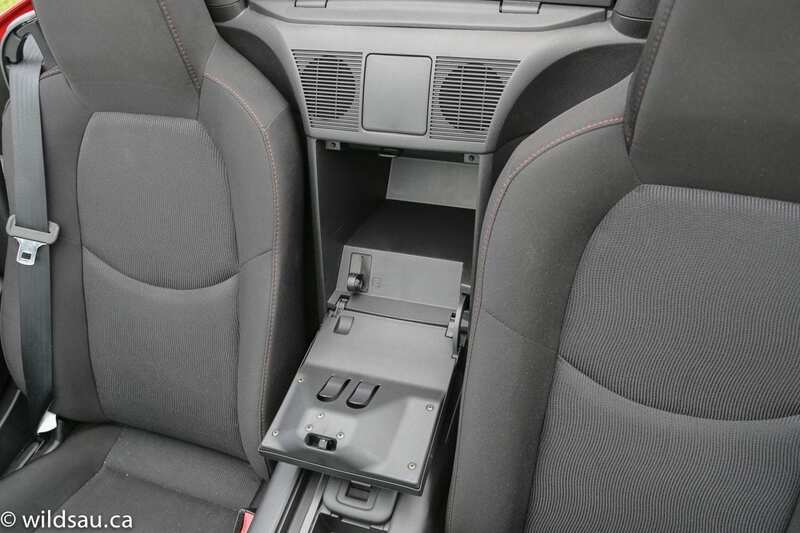 There is a little lockable bin for valuables between the seats against the car’s “back wall”. This is also where the gas filler cap release is – I spent a good 5 minutes looking for it at the gas station. And looking like an idiot in the process. 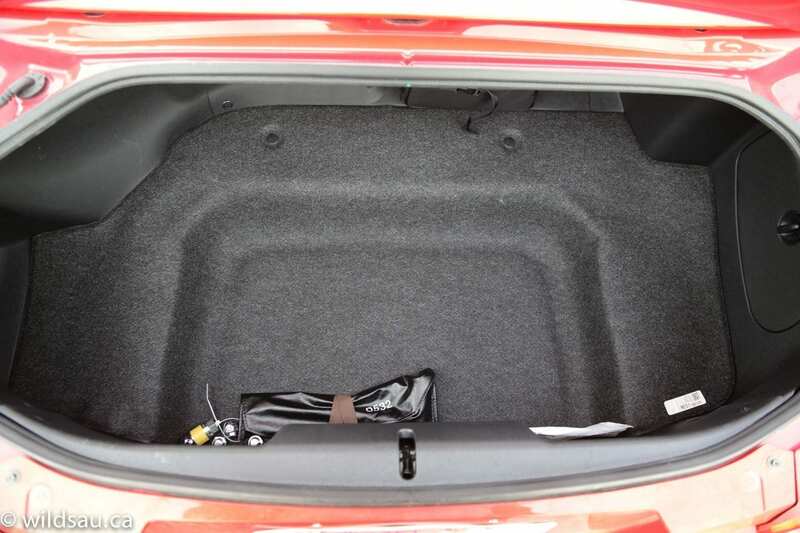 The trunk can be opened from inside or from the key fob, but not at the trunk lid itself. It seems tiny on paper – only 150 litres of cargo space – but it’s certainly enough for a few soft bags and would be fine for an overnighter or a weekend trip for two. 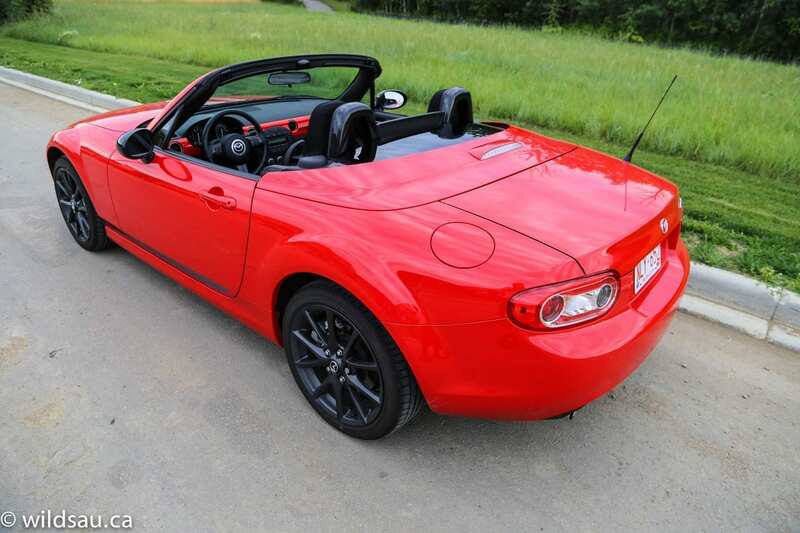 A nice feature is that the hard top does not intrude on trunk space when it’s down. Basically I took issue with what was missing. I really think no vehicle should ship without handsfree/Bluetooth phone connectivity nowadays. And heck, at this price, I want automatic headlights, a USB connection and Bluetooth streaming audio capability too! 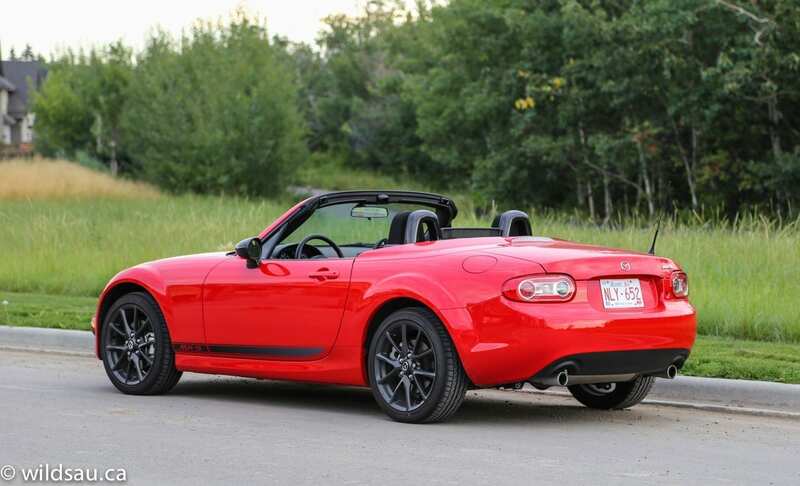 I was lucky to get the MX-5 during one of our hottest weeks of the summer. It was beautiful almost every day and you can believe that I drove with the top down on each one of those days. The fun factor is tough to beat here. As I said, definitely not the quickest thing on the road, but it always feels plenty quick enough. And any corner, any curve or even the track – they are all where this car loves to play. It invites you to toy with it and you’ll be hard pressed to find a more tossable vehicle out there. I wanted for a bit more in the cockpit, especially in terms of creature comforts and conveniences. But as I mentioned, the car is so much fun that it’s really easy to overlook the little things here and there that are missing at first glance. 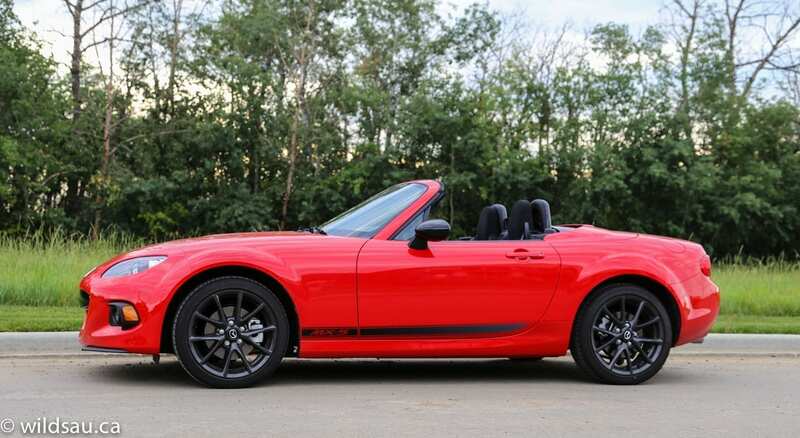 The glaring omissions when you get into the MX-5 fade quickly into the distance, and are left in the dust, covered by your ear-to-ear grin and a raspy exhaust note. 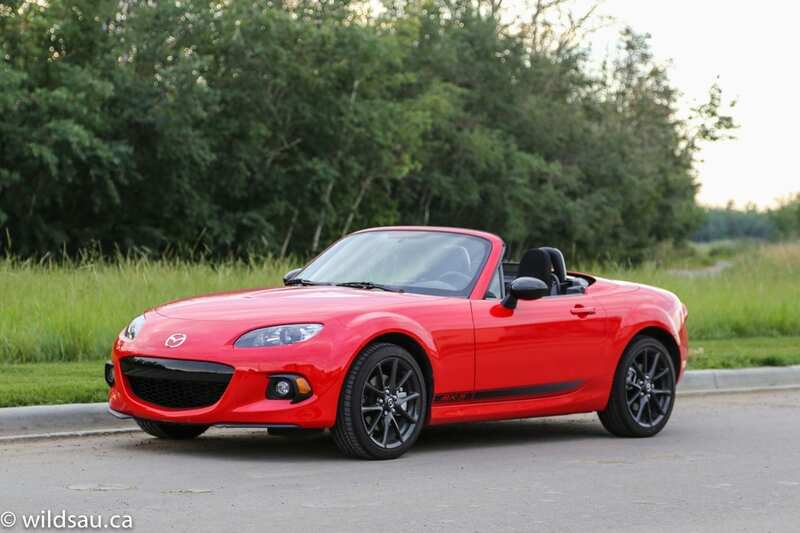 I give the Mazda MX-5 an 8.5 out of 10. WAF (Wife Acceptance Factor) was low. She didn’t drive it, as she doesn’t drive manual transmissions. But she felt the interior was too tight, the seats were too low and there wasn’t nearly enough trunk space. You know. For day-long shopping trips. In other words, she doesn’t quite fit the demographics this car is aimed at. I found it interesting that the demographics the MX-5 would appeal to are actually significantly broader than I first thought. 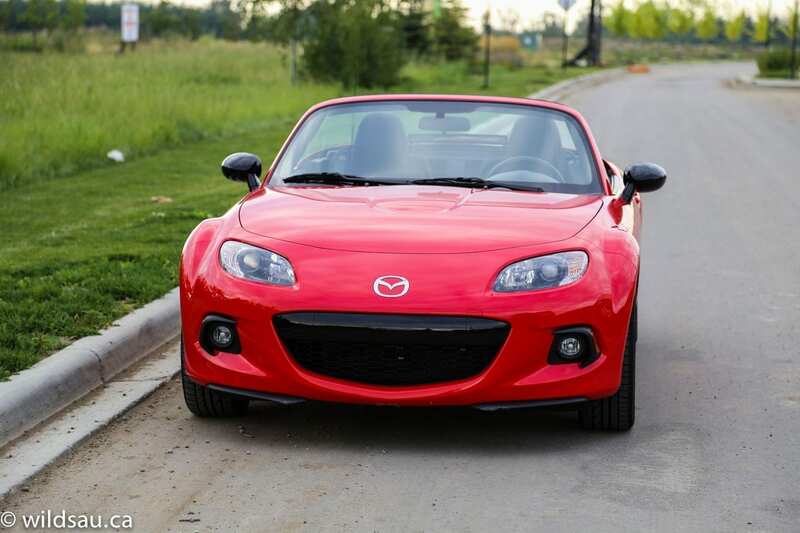 This car is simple and enjoyable to drive, and would be a reliable commuter. It’s a fantastic summer car, and I’m guessing it would hold its own in the winter with the right tires. The hardtop makes for a weather-proof cabin, and if you can handle the slightly nervous highway character, it would be a good road-tripper for two people. So there’s little it can’t do – as long as you don’t need room for more people or more cargo than it can hold. Bottom line: I can’t remember the last time I had this much fun in a car.